Since the late 80s, the media has enchanted us with virtual reality. TV shows and movies had people in bulky rigs going into digital universes that were dreamlike. In reality, if you could find a VR rig, you were in a big ring, wearing heavy headgear, and holding a gun to shoot blocky, computerized caricatures. Twenty years later, VR has become democratized by devices such as the Dodocase VR. The Dodocase VR is a unit based on Google Cardboard, where a cardboard box with lenses is built to hold the user’s cellular phone. The lenses magnify double images on the phone’s screen that the brain assembles to be three dimensional. 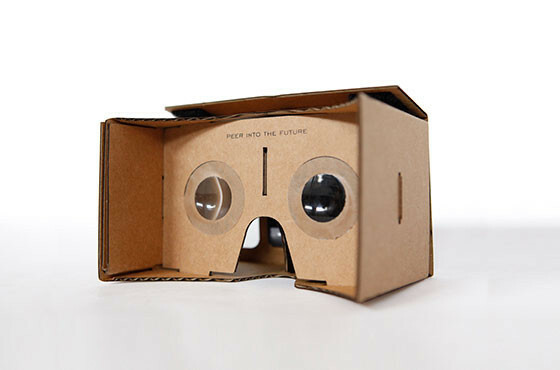 This simple cardboard box and phone can make some fairly amazing images at the fraction of the cost of more fully realized virtual reality gear on the market. I tested the Dodocase VR with my iPhone 6, and the demo apps I tried were cool. From a rollercoaster simulator to a promotional movie app from Legendary Pictures to Google’s own demo app, everything looked cool and worked perfectly in the Dodocase. It all responded well to the phone’s movement tracking and triggered when the magnetic switch was pulled, but finding the apps was a problem. The only way to find apps for the case is either via search or a spreadsheet on the Dodocase website. There’s no simple directory or app pulling them all together to let a user easily find the rollercoaster or the shooting gallery, which is a shame for the less savvy users who purchase the Dodocase VR in hopes of an easily immersive VR experience. The Dodocase VR doesn’t have many useful apps, but it is a fun experience that is truly immersive when one can find the apps.